The eroded edges of the "citadel" mounds are covered with red brick dust and pottery, with traces of lighter mud brick revealing the underlying platforms that form the foundations of the uppermost buildings. This mound is encircled by a massive mud-brick wall or platform, which is now eroded down to the modern plain level. The Buddhist stupa was built directly on top of the ancient Harappan buildings. 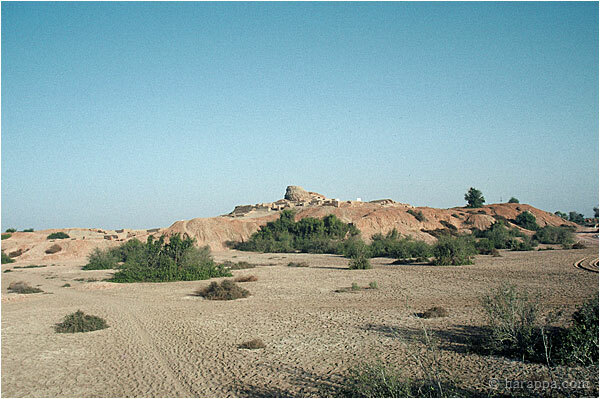 To the left, at the southern end of the mound are the remains of Indus period buildings in area L.